When thinking about family, one usually thinks about the family they were raised in. As we all know, traditional families aren’t exactly what they used to be, as it has changed over the years. Family is what you make it, and some would argue that those who aren’t even blood relations are family. Take hockey teams for an example. They say that hockey is a team sport, however; it would seem that it’s also a family sport (at least at the NHL level). Recently, I was reading an article about Max Domi and had images of his famous dad go through my head. Who can never forget Tie Domi? Not only is Max following in his dad’s skates, but so is Matthew Tkachuk, Brenden Lemieux, etc. The list goes on. While there is a laundry list of fathers and sons, uncles and nephews, and brothers and sisters that have been in the NHL in some capacity, it is the sets of brothers who played or coached for Washington at or nearly at the same time that should be of some interest. The first set of brothers most Capitals fans most likely remember are the Hunter Brothers. While Dale and Mark played one season together, Dale was the one that made the most impact with Washington. Everyone knows about Dale’s grit, and controversy surrounding the hit on Pierre Turgeon. Lately Mark and Dale have shown immense success in running the OHL’s London Knights, a testament to their grit and hockey savvy. 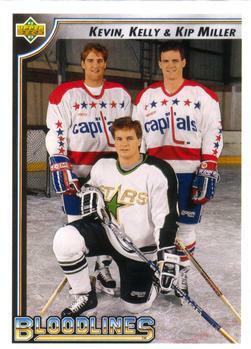 Although the Hunter brothers come to mind for famous sets of Capitals players who were brothers there was another set of brothers were playing for the Capitals: Kevin and Kelly Miller. They may not be as notable as the aforementioned Hunter Brothers, but they contributed to the team as well. They also displayed the same grit and stumbled into some controversy as well. Most notably, Kevin’s hit on Andrew McKim in a Swiss League game back in 2000. He has now been ordered to pay for damages done to McKim. Moreover, the Capitals have had some sets of brothers who have made their mark in the team’s history. 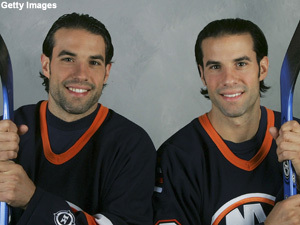 There was set of identical twins that Capital fans may remember (and long before the Sedin twins made their mark): Peter and Chris Ferraro. Albeit their time in Washington was short, they played a little less than 100 games in the NHL before ending their careers in Washington, on a slightly less controversial note. At the same time, the Ferarro Twins were most likely forgettable, the Capitals also have had the distinction of a set of brothers to coach the team. This would be the Murray brothers: Bryan and Terry. Bryan was at the helm first, winning the Jack Adams Trophy, in 1982-1983, but was replaced by younger brother Terry in 1990. For the most part, hockey is considered a team sport, and the team can feel like a band of brothers. 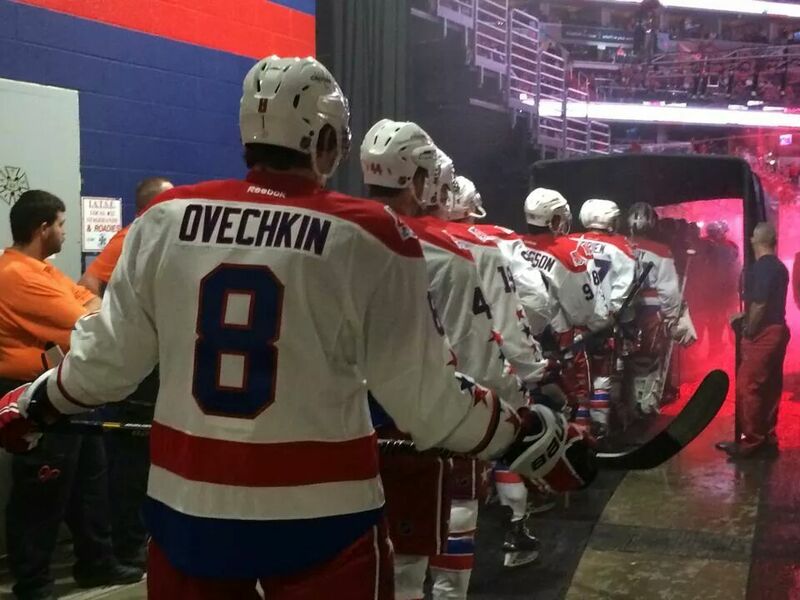 Because of this, the Capitals may know a few things about family. After all, they’ve had these sets of brothers contribute to their colorful history. This entry was posted in History, Players and tagged Andrea Sobolik, Chris Ferraro, Dale Hunter, Kelly Miller, Kevin Miller, Mar Hunter, Peter Ferraro. Bookmark the permalink.